Most adults these days have, and use, a smartphone. From watching media, to talking to friends (and even - rarely - making phone calls) our smartphones are an integral part of our lives... so is it any wonder that our kids want one of their own, too? Taking the stance that children shouldn't be shielded from mobile technology, but rather introduced to it in the safest way possible, Monqi have created a very smart smartphone with kid users in mind. 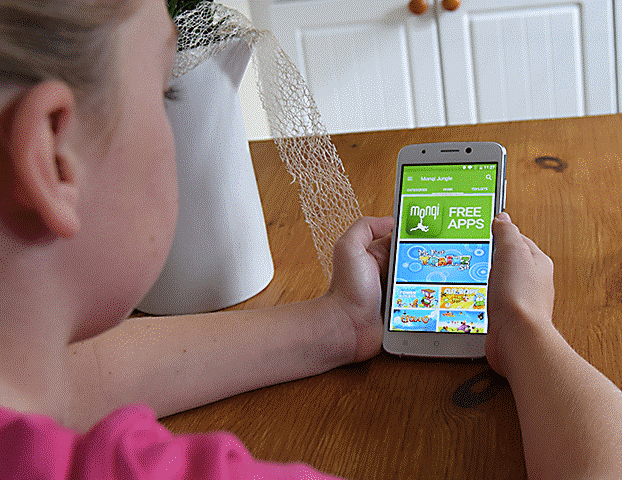 We check out the Monqi Kids Smartphone. Yes, this is a fully-fledged phone; one that looks just like the one you own. There are no brightly coloured rubber bumpers on the edge, no cartoon character designs, and certainly nothing toy-like about it. The Monqi Kids Smartphone can make calls, send texts, take photos, watch Netflix, go on online, compose messages and emails, and download apps. It is, first and foremost, a smartphone. 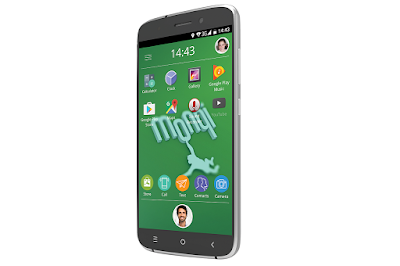 The Monqi Kids Smartphone boasts a 5 inch display, a 13MP main camera, and a 5MP selfie shooter. 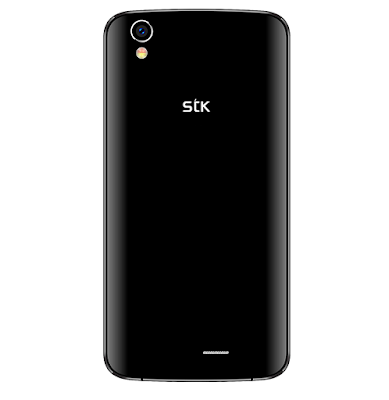 It comes with 8GB of built-in storage (expandable by way of a Micro SD card), and a battery that gives seven full hours of use. And it runs on Android. But... that Android OS has been heavily tinkered with. Start up the phone and your home screen might look like a regular Android device, but there is more going on. For a start, a user profile must be created for the child who is using it, and there is no way for a 'guest' or unregistered user to access any functions on the phone. That account creation is very important, because it is how the Monqi Kids Smartphone links to the parent app on your phone (iOS and Android). Mums, dads, and carers download the app, create their own profile, then scan the QR code that pops upon the child's phone. That way, only those with access to the phone can access the details of the user, which is reassuring. From then on the adult has access, via their app, to all the happenings on the Monqi Kids Smartphone, from where in the world it is (Google Maps shows the location), to what is currently going on with it. If the child makes a call, you get a notification about who they are calling. If they open an app, you get a notification about what app it is. If they try to download a new app from the Monqi store (a trimmed-down version of the Play Store) you have to first approve the download before it will complete, so you know exactly what app it is they want. So... what you make of that? At first, we felt like it was a massive intrusion, and that it eroded trust between the child and the parent. However, you could take the argument that it has nothing to do with a lack of trust, but more about the protection of the child. The linked parent app can see and read all incoming messages, too, and with quite shocking statistics about cyber bullying and online predators, it is a good way to make sure they aren't being mistreated by others. But we tested it by giving it to a seven year old. Not quite at the age where she is texting friends and venturing out into the world on her own, she instead used it to watch media, play games and do simple homework-related web searches. For that, knowing what was going on simply made it easier to parent and help out. Furthermore, one of our favourite parts of the Monqi Kids Smartphone OS is the instant contact ability. On the bottom of the home screen is a photo of the parent to whom the phone is linked, and with a simple press of a button the phone will call them. They can also quickly send a message, and - interestingly - send an instant emoji or 'Mood Ping'. All kids will appreciate the easy to use caller, and we can imagine the likes of autistic children finding the emojis useful. So although at face value this seems like a great idea, parents of older children might have to wrestle with their morals when using all of the prying functions. Still, as a stand-alone phone the Monqi Kids Smartphone is excellent, and we love how the designers have chosen not to patronise children and instead give them a phone they probably really want: one that looks, and acts, just like mum and dad's.